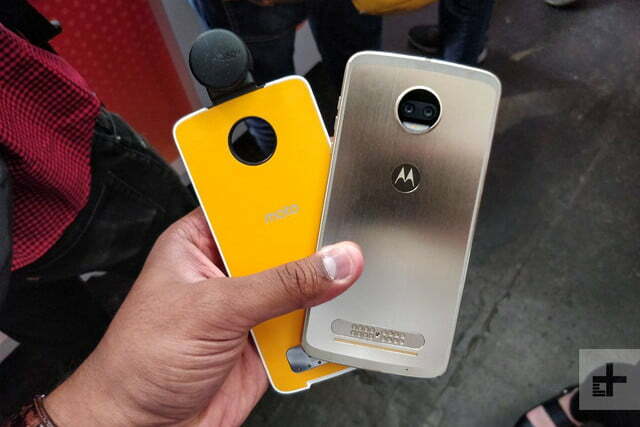 Lenovo has pulled the wraps off its second device in the Moto Z2 line at an event in New York City. 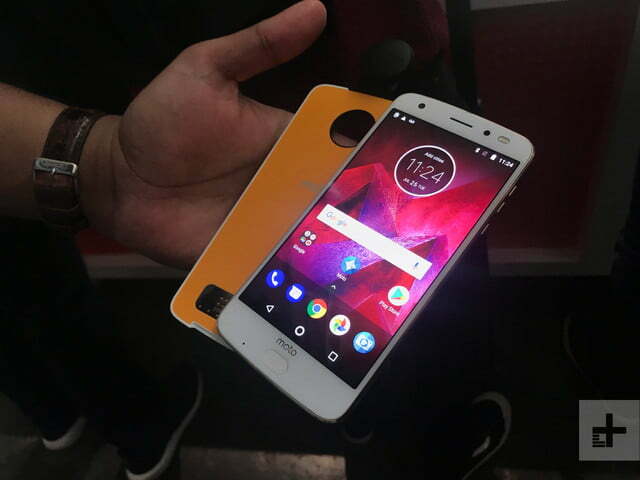 It’s called the Moto Z2 Force, and it improves on its predecessor in a number of key areas, while retaining the company’s trademark Moto Mods functionality. The Z2 Force is Motorola’s flagship for 2017, and it follows the launch of the Z2 Play last month. The Z2 Force is a more expensive and well-equipped device than the Z2 Play, thanks to a more powerful chipset, more RAM, a new dual-camera setup, and a higher-resolution display. 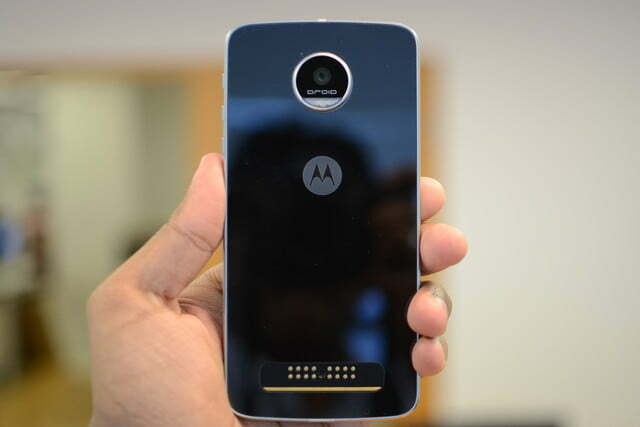 It also benefits from the company’s proprietary ShatterShield screen-protection technology, which appeared last year on the Verizon-exclusive Moto Z Force Droid. We’ve had a chance to play around with it, and you can read our Moto Z2 Force review to see how it stacks up against the competition. While the original Moto Z appeared on multiple carriers, the Z Force Droid was a Verizon exclusive last time around. That will not be the case with the Z2 Force. The new phone is available for purchase in the U.S. from AT&T, Sprint, Verizon, U.S. Cellular, T-Mobile, and Best Buy, in addition to Motorola’s own website. It starts at $30 per month depending on the carrier, and for a limited time you’ll also get a free Moto Insta-Share Projector Mod when you purchase the device. Motorola originally made the Z2 Force available for $800 — but it has been quietly reduced since then. 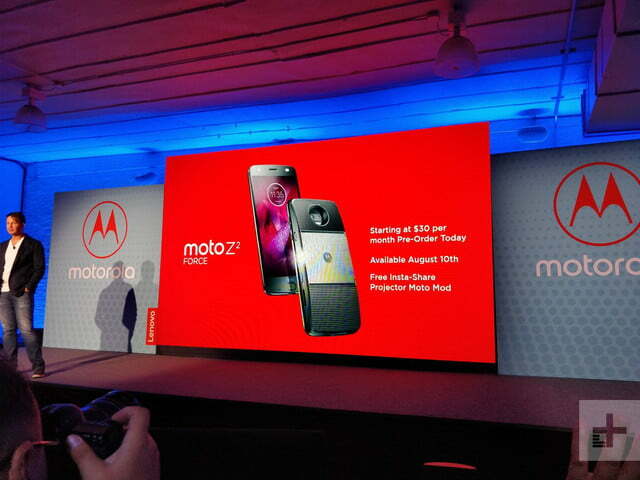 On Motorola’s website, the smartphone is now listed for $720. That price decrease now brings it below what carriers are charging. Verizon has listed the full price for the Z2 Force at $756. However, customers who enroll in a two-year contract with the carrier will be able to snag one for less, at $15 per month over 24 months. Meanwhile, Sprint’s Z2 Force runs $792, with the option of $33 over 18 months. While T-Mobile was originally charging $750 outright, or $30 per month over 24 months, it has now dropped the price to $20 down and $20 a month for subsequent months. That means that T-Mobile is now charging just $500 for the phone. In terms of look and feel, the Z2 Force follows the example of last year’s Moto Z line, as well as the Z2 Play. The device was deigned to be compatible with the slew of Moto Mods on the market, so its dimensions don’t deviate too much from Moto’s last flagship. A similar mix of materials are used all around, a blend of 7000-series aluminum and glass that creates a two-tone affect around the back, where the glass circles the metal. This has presumably been done to improve antenna connectivity. The other significant change at the rear is the presence of dual cameras inside that circular bezeled housing. You’ll find the standard Moto Mod connector pins near the bottom of the device. Over to the front, the Z2 Force bears an even stronger resemblance to its predecessors. There’s a 5.5-inch display with a front-facing fingerprint sensor mounted in the bottom bezel. Last year, the sensor was square, but this year it’s been given an oval shape, and also looks a bit bigger. 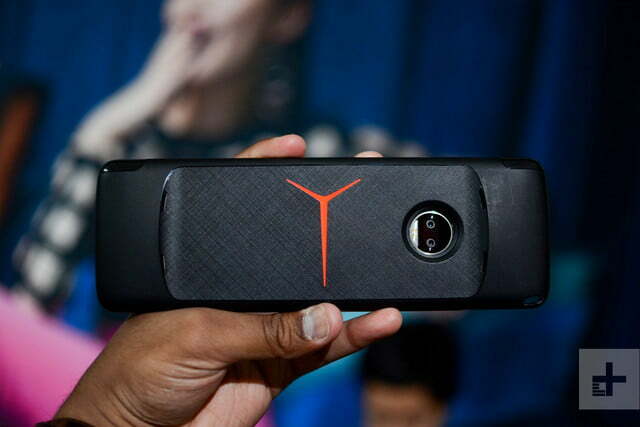 At the top, there’s an LED flash opposite a wide-angle 5-megapixel selfie camera. The Z2 Force is spectacularly svelte. 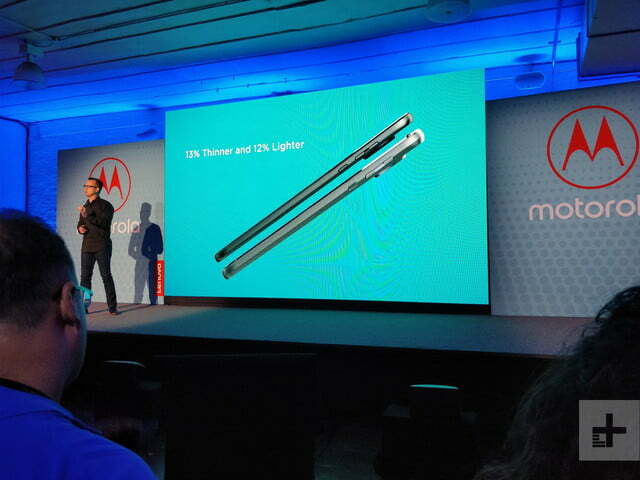 Lenovo sliced 2 millimeters off the thickness of the Z Force Droid, making it 13 percent thinner and 12 percent lighter. Like the Samsung Galaxy S8, HTC U11, and OnePlus 5, the Z2 Force benefits from Qualcomm’s top-of-the-line silicon — the Snapdragon 835 system-on-chip. Alongside that, there’s 4GB of RAM and 64GB of flash storage. Internationally, the phone will be available with 6GB and 128GB, respectively, though that variant is not coming to the states. Either way, there’s a MicroSD card tray on board for easy expansion, so you can store even more apps and media on your device. Next up is the battery life, and it looks like Lenovo has shaved off some of the battery in favor of keeping the device slim. The Z2 Force features a 2,730mAh battery — much smaller than the 3,500mAh battery found in the original Z Force. Durability is also a slight concern, as the phone does not feature any official IP rating — though it does have a water-repellent “nano-coating,” which should help with some splashes and rain. Just like the outgoing model, the Z2 Force boasts a 5.5-inch AMOLED display with a resolution of 2560 x 1440 pixels. That translates to 535 pixels per inch, and means the Z2 Force has a superior screen to the Z2 Play’s 1080p panel. With Shattershield — which Lenovo bills as “the world’s first shatterproof smartphone display” — it should be able to take a harder beating than devices sporting Corning’s still-very-tough Gorilla Glass. 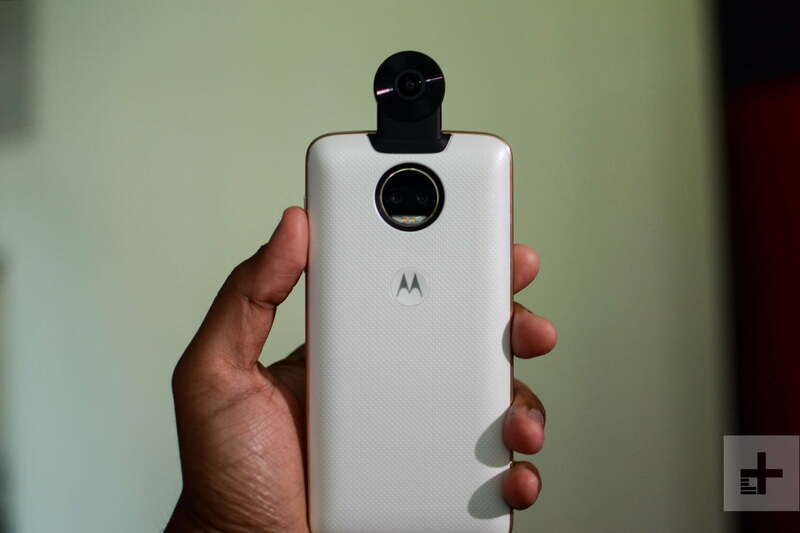 When it comes to the camera, while the 2016 Moto Z Force featured a 21-megapixel sensor, the new device features a smaller 12-megapixel sensor — though it is a dual camera and will likely take much better photos regardless of the number of megapixels. The cameras each have an aperture of f/2.0, but lack optical image stabilization. Lenovo’s approach to the dual camera in the Z2 Force is similar to Huawei’s implementation, in so far as one of the cameras exclusively shoots in monochrome. The Z2 Force has the ability to capture shots entirely with this camera, allowing you to get true black-and-white images — not color simply converted to black-and-white via software, as most phones typically provide. 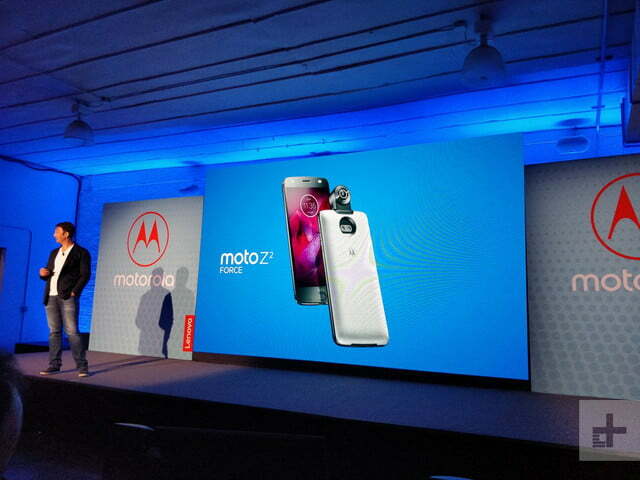 Moto’s Z devices are all about the accessories, and the Z2 Force is no different. 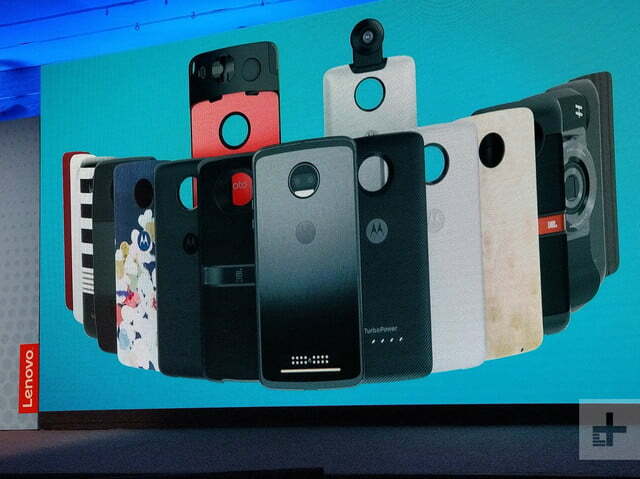 The device is compatible with a range of Moto Mods — modular components that snap onto the back of the handset with different capabilities. 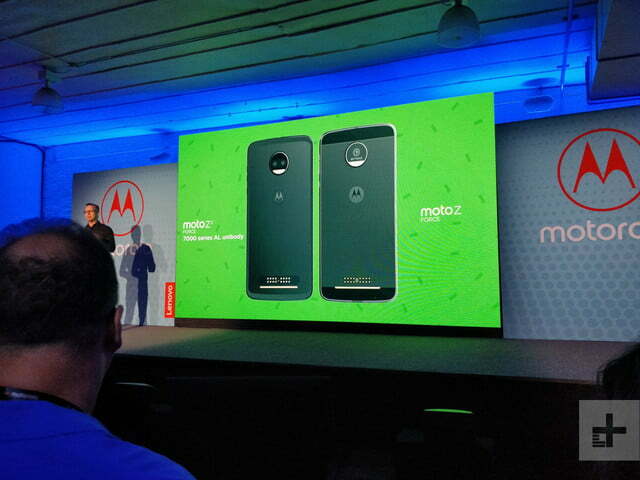 There are mods add wireless charging, extra battery life, louder audio, optical zoom, and even a tiny projector. The newest Mod is Moto’s new 360-degree camera. 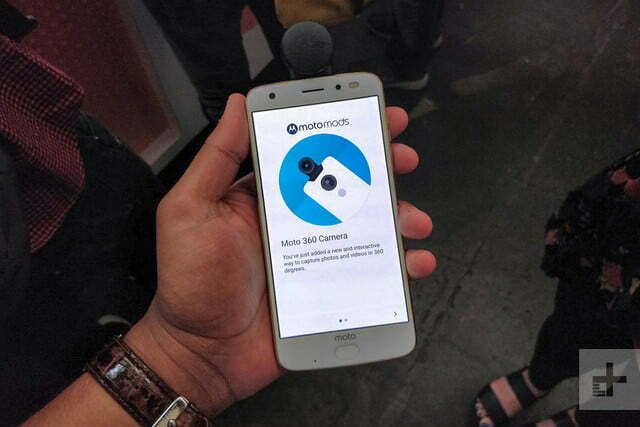 Android startup Essential revealed its own 360-degree camera that attaches to the top of its PH-1 smartphone, and Moto’s application looks similar in practice. 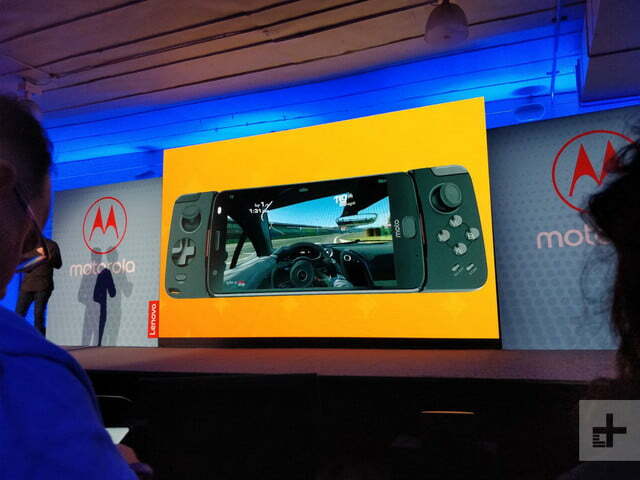 It will run $300 and is available for purchase in the U.S. at Sprint, T-Mobile, and Verizon, along with Motorola’s website. Best Buy will carry it later this month. 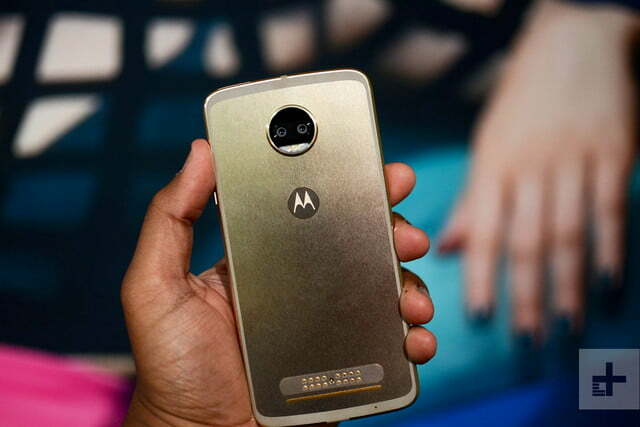 Moto devices are known for their light, restrained take on Google’s Android operating system, dating back to Google’s temporary ownership of the brand a few years ago. The same experience looks to be the case here. Lenovo’s main contribution to 7.1 Nougat is Moto Display, a feature that leverages the Z2 Force’s AMOLED screen with a combination of proximity sensors to allow you to check notifications when the device is asleep, simply by waving your hand over it. This has appeared on previous Moto products over the last several years, and it’s good to see the company hasn’t left it behind. We’ll update this article with more information as it becomes available. Update: The Motorola Z2 Force is now available for $500 from T-Mobile.